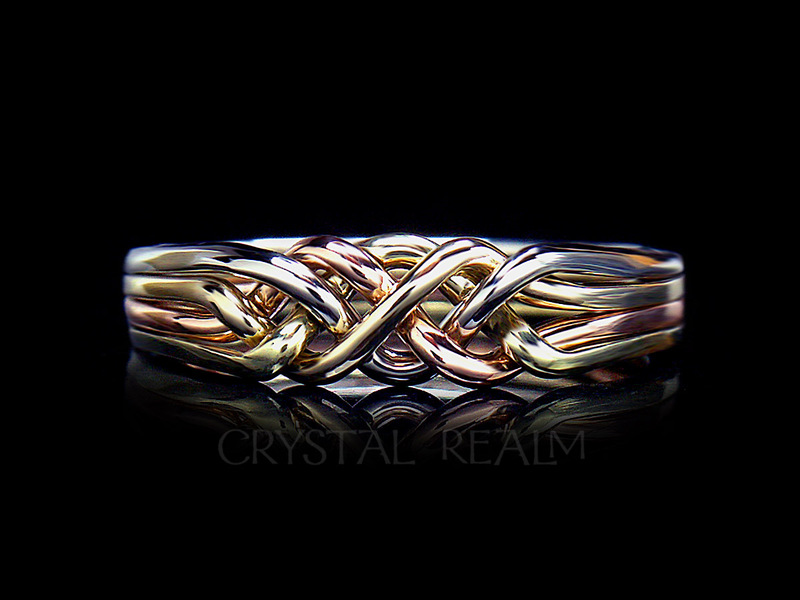 A bold ring with ten bands in a tight weave makes a strong statement – it says you don’t settle for ordinary in your choice of ring. 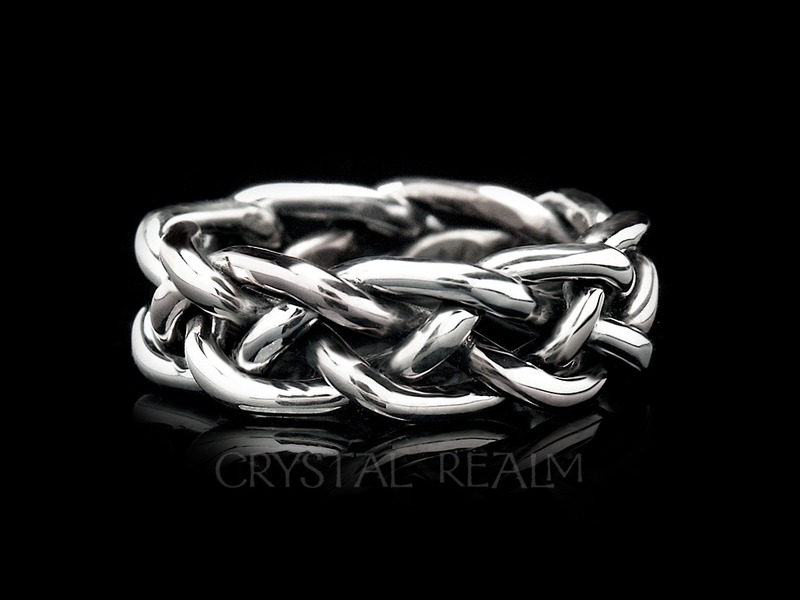 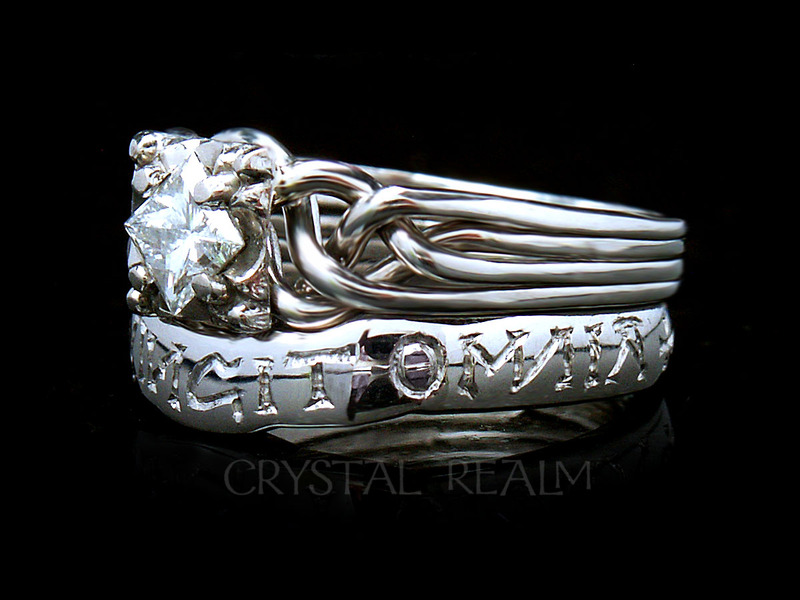 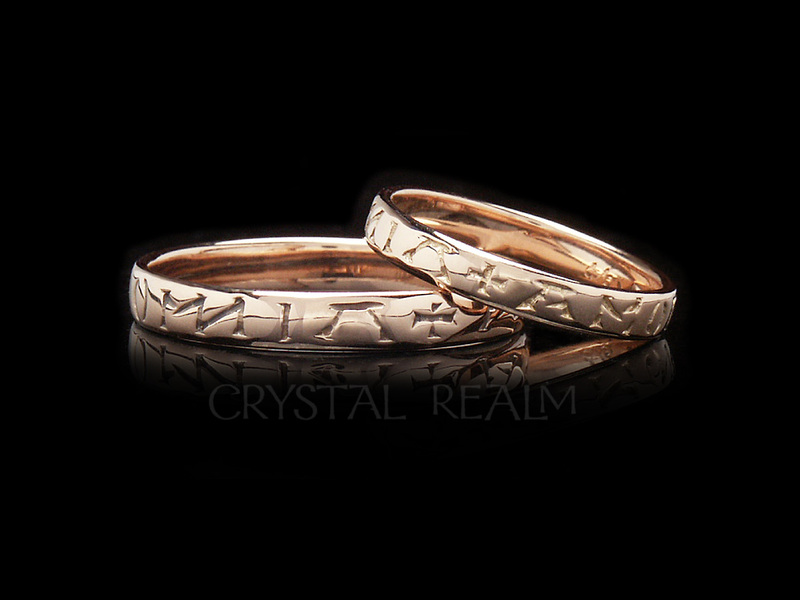 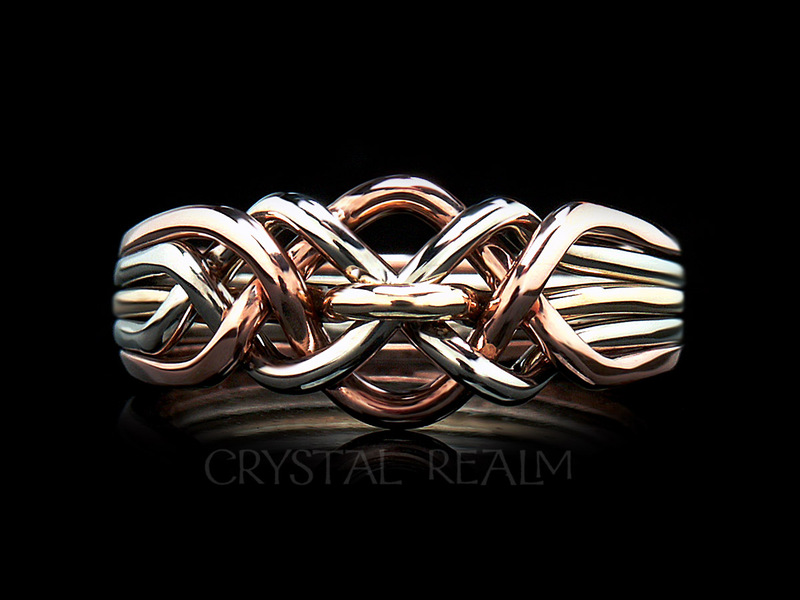 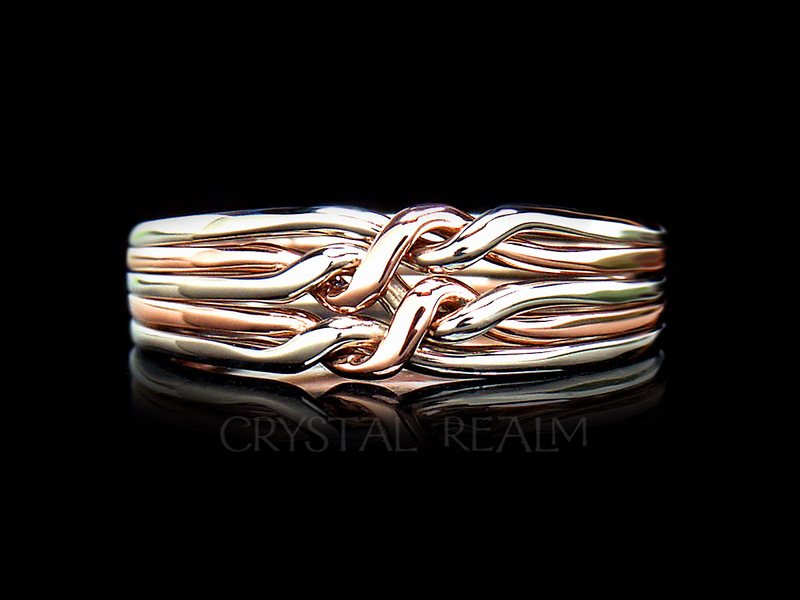 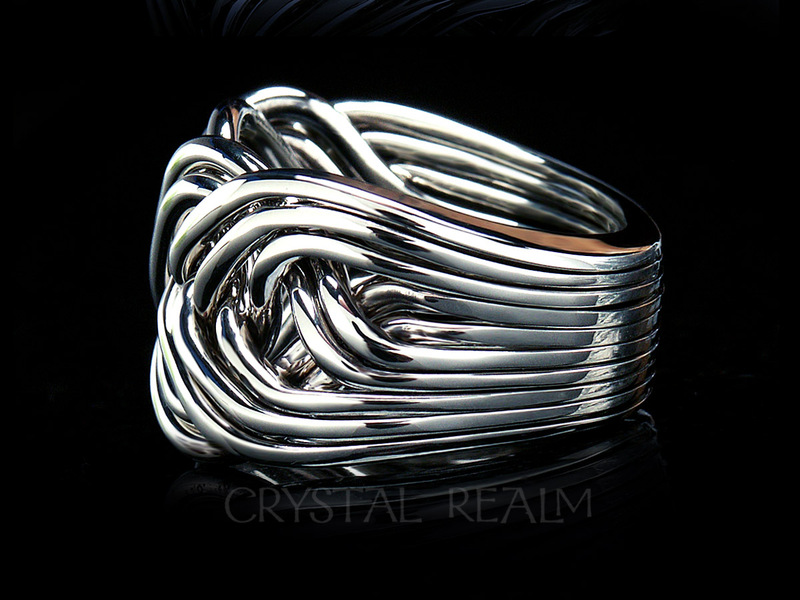 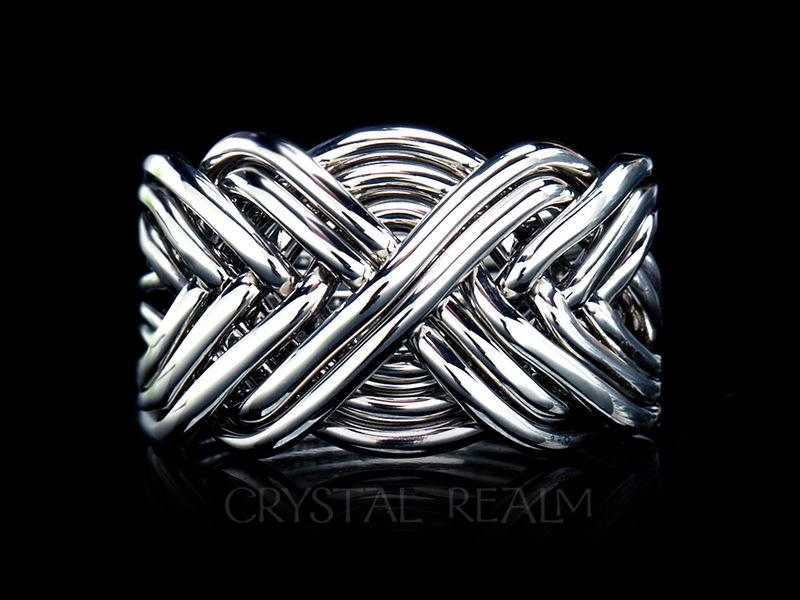 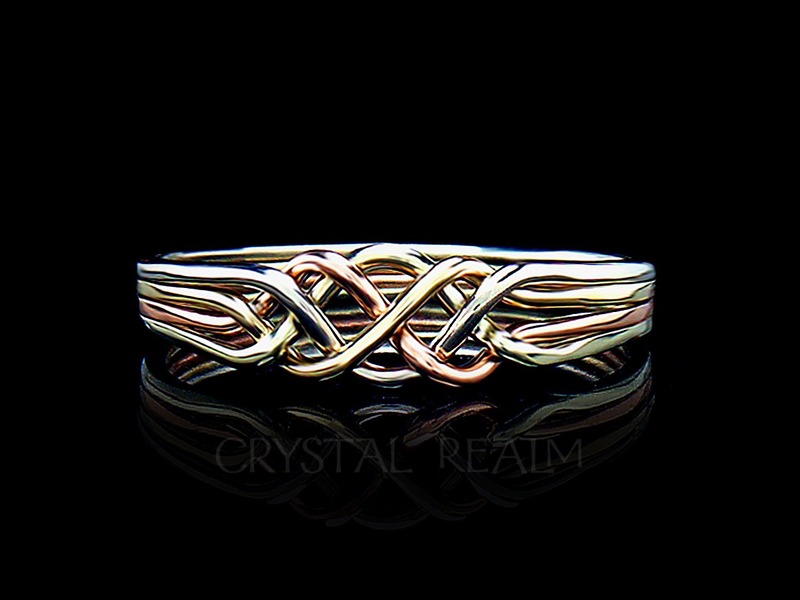 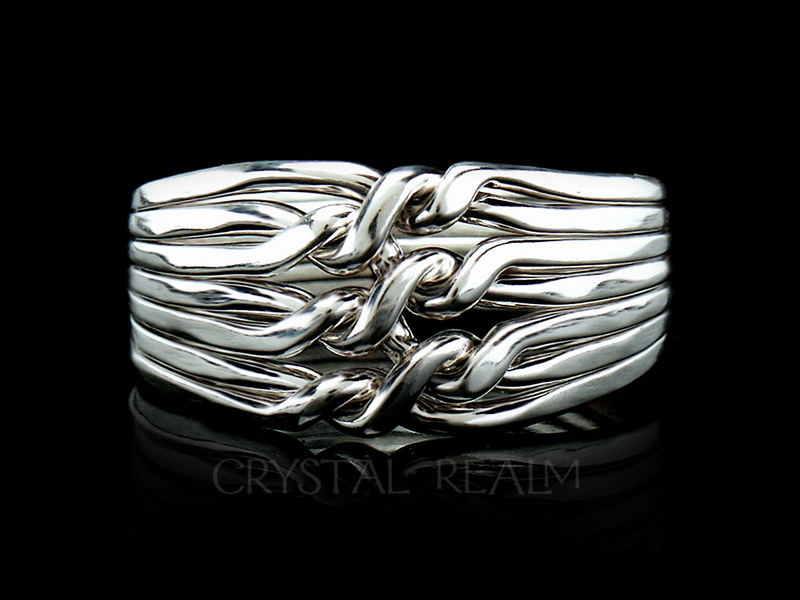 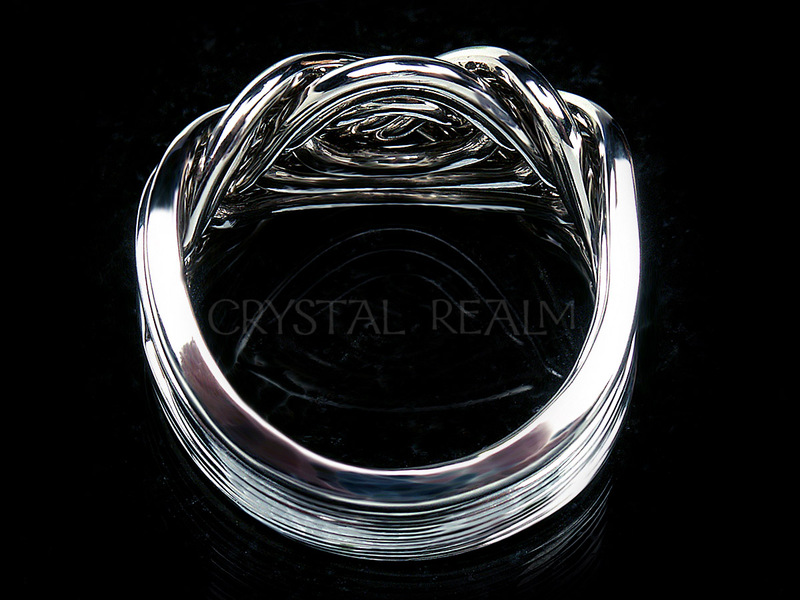 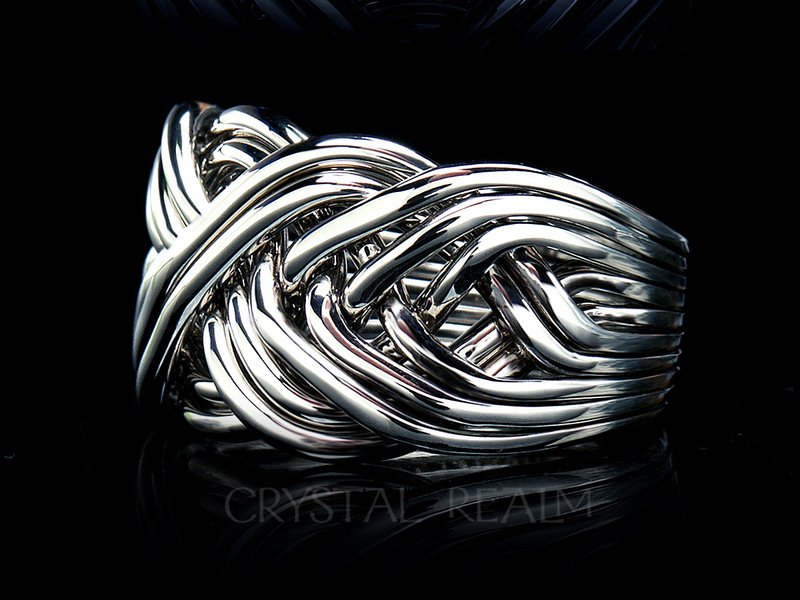 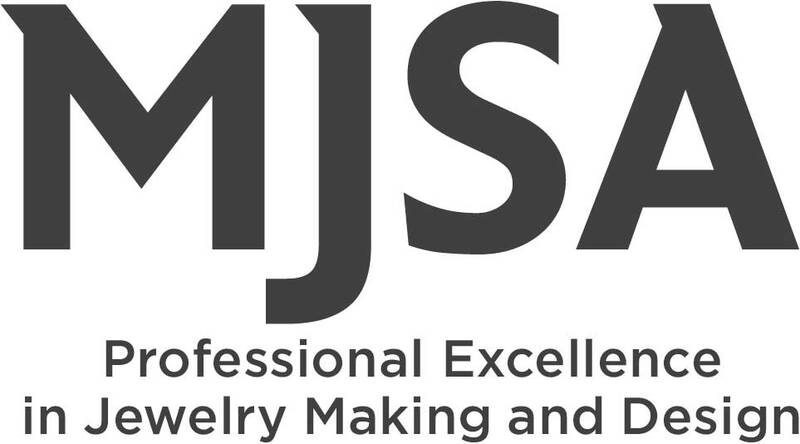 Unlike most heavy men’s rings that are cast from molds, this puzzle ring is hand-woven to your order. 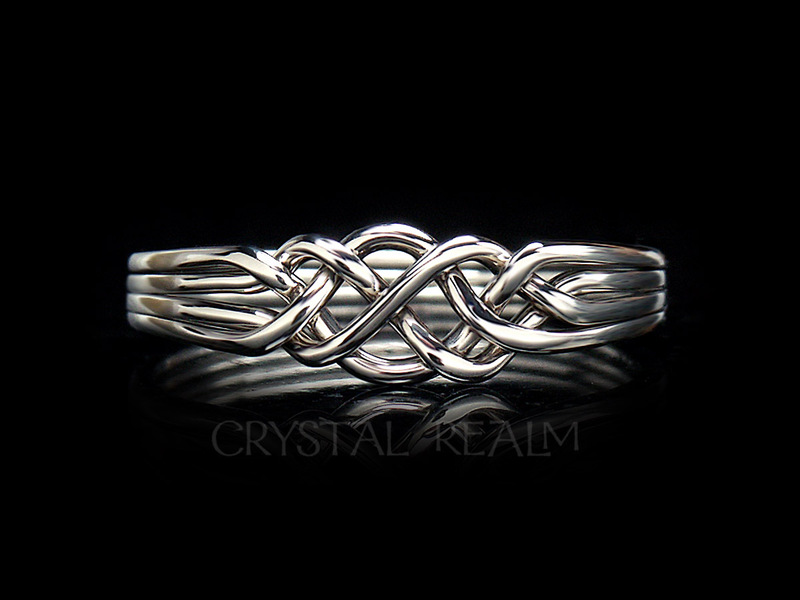 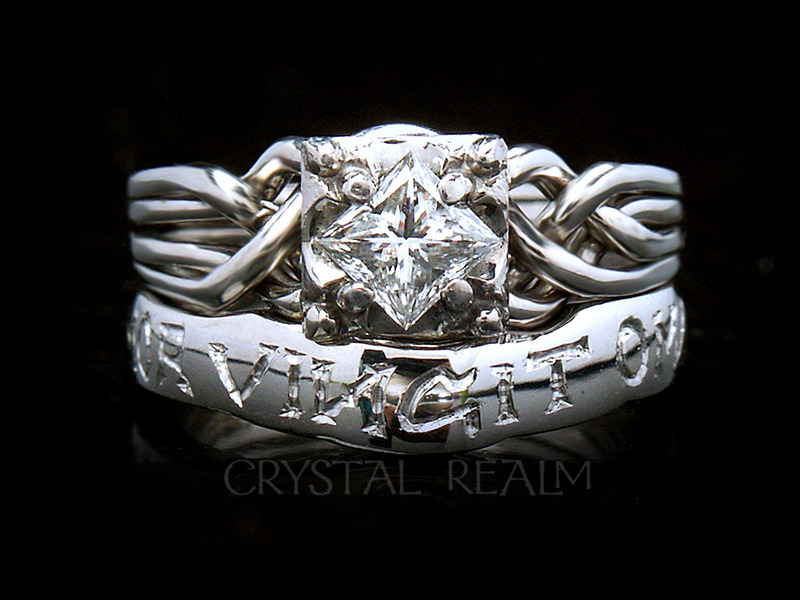 It is a very solid, masculine ring.